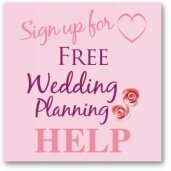 The beauty of choosing a winter wedding is that there are so many free and cheap resources that you will be able to use to create some stunning decorations. Free stuff that you can find that works really well are winter branches, you can choose to spray them silver or white then either secure them with quick drying clay into a plant pot and decorate or have them displayed in a tall and weighty glass vase. You can then use the branches to hang tealights – use the battery operated ones to avoid a fire hazard or decorations. One wedding I went to a few years ago had flowers hanging from the branches which worked really well. If you are lucky to have free evergreen branches – holly or ivy are great examples you can use these to wrap around pillar candles and you have an instant and easy winter centrepiece.Cheap stuff for your winter wedding reception centrepieces are hunting out Christmas decorations you can use ones that you already have – think fairy lights in a glass vase, Christmas baubles in a glass vase or on a platter. 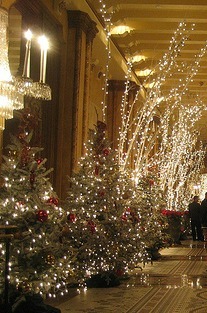 Or you could use Christmas decorations to decorate the winter branches that you have found. In winter a candle centerpiece gives you that cosiness that is perfect for that time of year. And everyone and everything looks more glamorous with candlelight. I love this centerpiece in the photograph as it seems so extravagant to have that many candles! But you can buy candles fairly cheaply if you shop around. The gathered material also adds more luxury (again shop around for material) and then you have the pinecones and evergreen branches which are free! You don't have to have this many candles for yoru centerpiece to look stunning. Insead you could have one pillar candle in the center with pinecones around it. 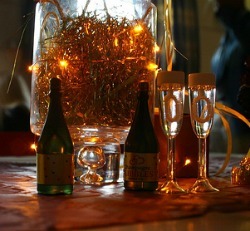 Or you could have lots of tealights dotted along the table. Another winter favorite of mine is to use a wide glass bowl and have cranberries and floating candles, so simple and so pretty! The cranberries can also be used in tall cylinder vases with a floating candle on top. The great thing about cranberries instead of any other berry is that they last a while in the water and don't go mushy. Just because you use Christmas decorations your centerpiece doesn’t have to look Christmassy, they can be used anytime of the year as they are sparkly. 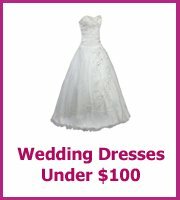 Look out for the ones that are plain and match your wedding color and the cheapest time to buy them is straight after Christmas so you can take advantage of the sales. 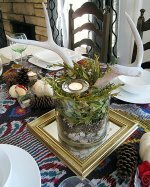 This winter centerpiece is really easy to put together, you will need a glass vase, some LED Christmas type lights and some crystal fibers. This centerpiece also has gift ribbon twirled around the vase for extra decoration. And that is it! Just place the lights and the tinsel in the vase and you are done. You could also have extra sparkle by having tealights around the vase, or by having a gold table runner to match the tinsel but this works as a stand alone decoration. Using winter wedding colors is another great way to turn a simple wedding centrepiece into a stunning display, colors that work really well are ivory and claret, ivory and dark green, silver, silver and purple. Try and avoid Red and Green together if you don’t want your reception to look like your Christmas party or do put them together if you do, if you love all the festivities that Christmas brings then having a Christmas theme will look great, it is what you want that matters. If you are having your wedding reception between the end of November and the beginning of January it is quite likely that your venue will have all of their Christmas decorations already up for their Christmas party season. This may include a Christmas tree in your room and their main entrance and Christmas decorations in the room too. This means that you probably won't need many other decorations apart from candles on the tables! Which is a huge saving to you! 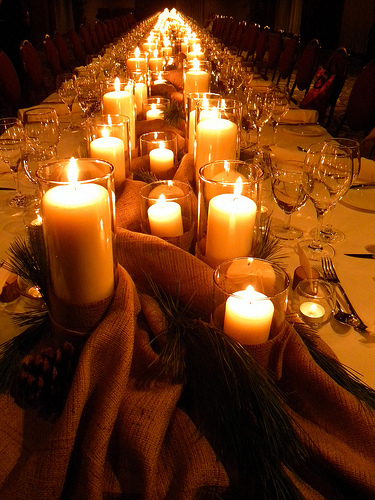 Candle light at a winter reception adds a beautiful romantic glow to the room, use them where you can! 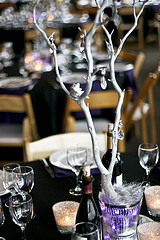 Of course if you don't want Christmas decorations up for your wedding you will need to speak with your venue. 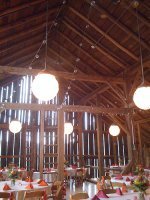 This may mean that you will need to have your wedding towards the end of Novemeber and then the venue will delay putting up decorations in the areas that you are going to use. December will be out for you unless your venue is not big on Christmas parties! You could then also look at holding your reception in January.